Hello and welcome to my second instalment of my holiday posts! This time being entirely based around food. WARNING: Do not read on an empty stomach. Breakfast was probably one of my favourite (read: unhealthiest) meals on holiday. With a huuuuge offering of pastries and hot food, there was something for everyone. Being the extreme chocolate-lover I am, I obviously opted for the freshly-made croissants daily (which really did melt in the mouth, oh my god) and on those wonderful days when I walked in to the smell of pancakes, I managed to stomach a few of those, too - smothered in chocolate and caramel sauce, duh. Tom went for the slightly healthier option of omelettes - which were cooked right in front of you with a variety of fillings. According to Tom they were pretty damn good, too. Each night at the hotel offered a different food-related theme for dinner. Thai, Italian, Mexican and more. There is always something for everyone (pizza and chips were always available for the younger ones so they've got you covered), and always a wide variety each night to keep you interested. Although I'm not mad on seafood, the prawns really did look delish. One night provided us with an endless amount of steak cooked to your preference, and boy was it good. If that had been on offer every night, I'm pretty sure that I would've just piled up my plate with them and be done with it. The best part of holiday hotels? Free ice-cream! Also known as the key to gaining 3 stone without even realising.... oops. But do I regret it? Well, maybe a little, but can you blame me with all of those amazing flavours on offer?! Whenever I got a little peckish during the gap between lunch and dinner, an ice cream (or two) went down a treat. Moving on from the hotel now, albeit quite literally around the corner, we discovered this gem of a place. 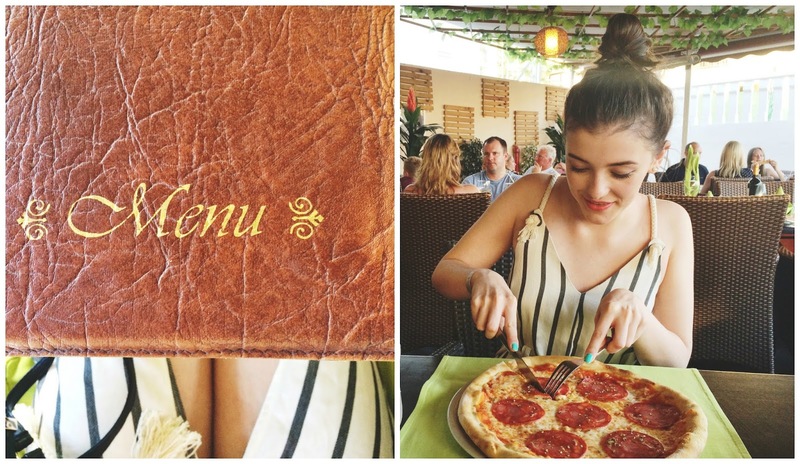 Despite the misleading name, Hawai is actually an Italian restaurant serving a range of delicious food from grilled prawns, steaks, fish, pasta and of course, pizza. Of course we chose, being the adventurous foodies we are, chose.... pepperoni pizza. Admittedly not the most exciting of dishes, but we really had a hankering for a dominos (old habits die hard) and from the families we'd spoke to stood outside, everybody rated the pizzas here as one of the best they've had. And they were most definitely not wrong. Despite being included in our all-inclusive hotel package and situated right beside the pool, La Palmera is actually an independent restaurant. We probably should've been a little more adventurous on our food choices, but during the day after a fair few hours of sunbathing, walking a mere ten steps to get some free food usually seemed the most tempting option. Offering favourites such as burgers, hot dogs, toasties and more, you really can't go wrong here. When I first discovered there was a Hard Rock Cafe right next to our resort, I couldn't help but let out a little squeal of excitement. After my last visit to the London Cafe, I was so excited to be returning, although perhaps eat a little less burgers and onion rings than before in order to make room for the infamous oreo cheesecake - which was to DIE for. If you ever get the chance to visit, do make sure you check out the dessert menu because it is uh-maaaaazing! So that's it for the food! I really hope you enjoyed this post and you aren't salivating as much as I am (damn you cheesecae. Stay tuned for my third post coming soon all about the hotel and some things to do in Costa Adeje if you ever visit the area. 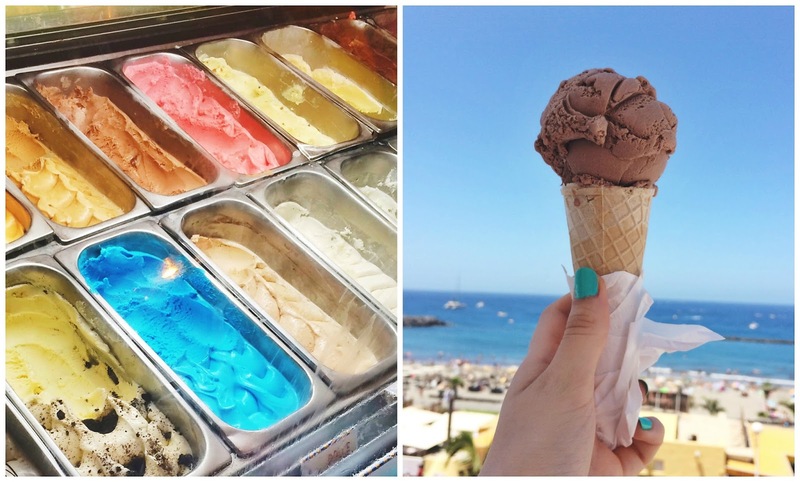 I wish I was going to Tenerife because all this food looks amazing!